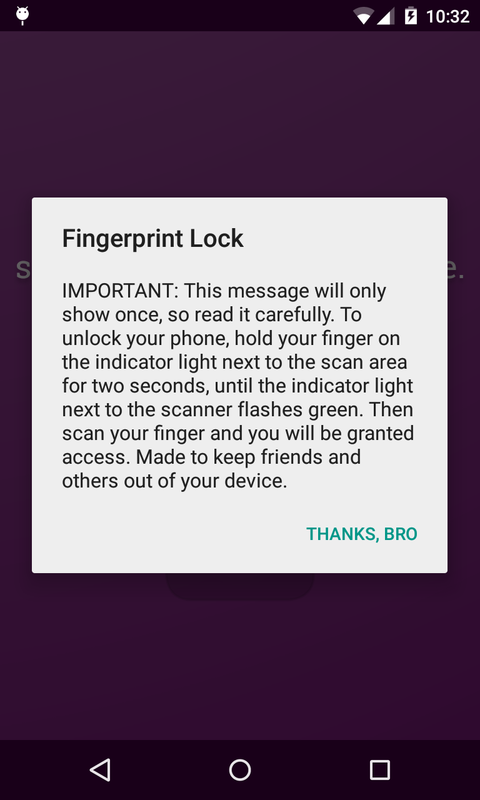 Thumbprint Lock is a free lockscreen utility for your Android device that lets you unlock your device using a thumb print scan. 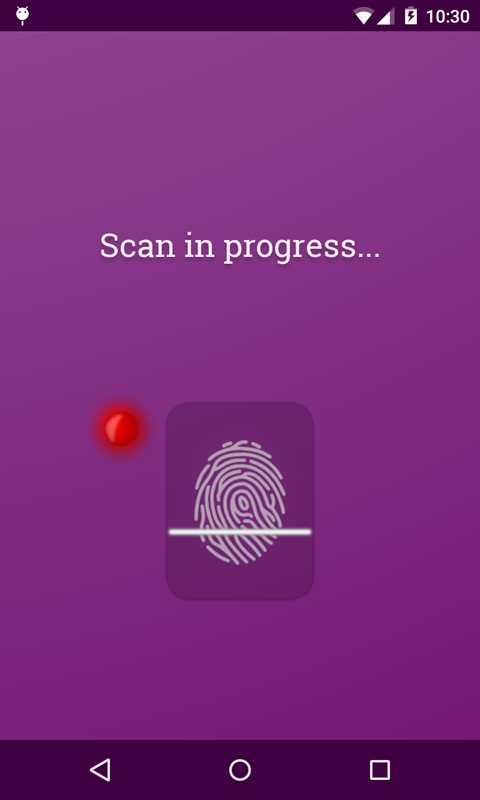 Simply start up the app, scan your thumb on the scan pad, and the app will close, giving you access to your phone! For a security measure, tap on the padlock icon on the top left of the screen to put the app into lock screen mode. After this, scanning your fingerprint will present you with an access denied message and your device will be locked. 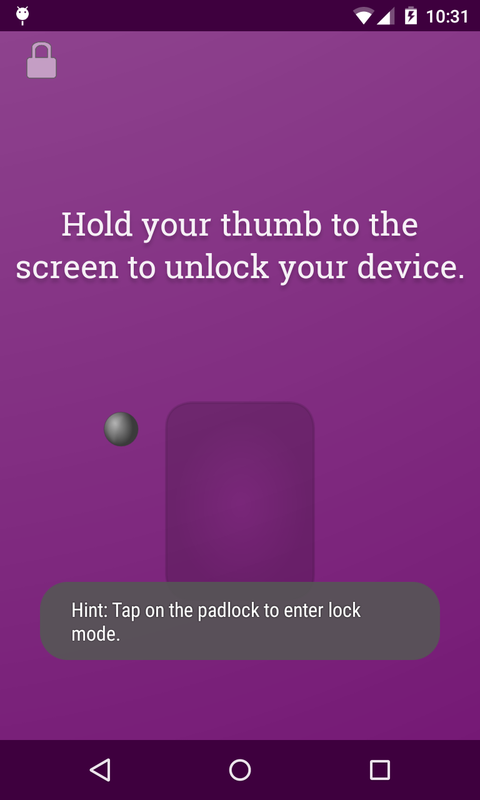 To unlock it, there is a secret trick that the app will tell you when you first tap the padlock button. For added authenticity, fingerprint lock also uses your device wallpaper as its theme so it blends in with your phone! If you have any suggestions on how to make this app better, please leave them in the comments!